Welcome to 2015! It’s hard to believe 2014 is over already – what a year it was! 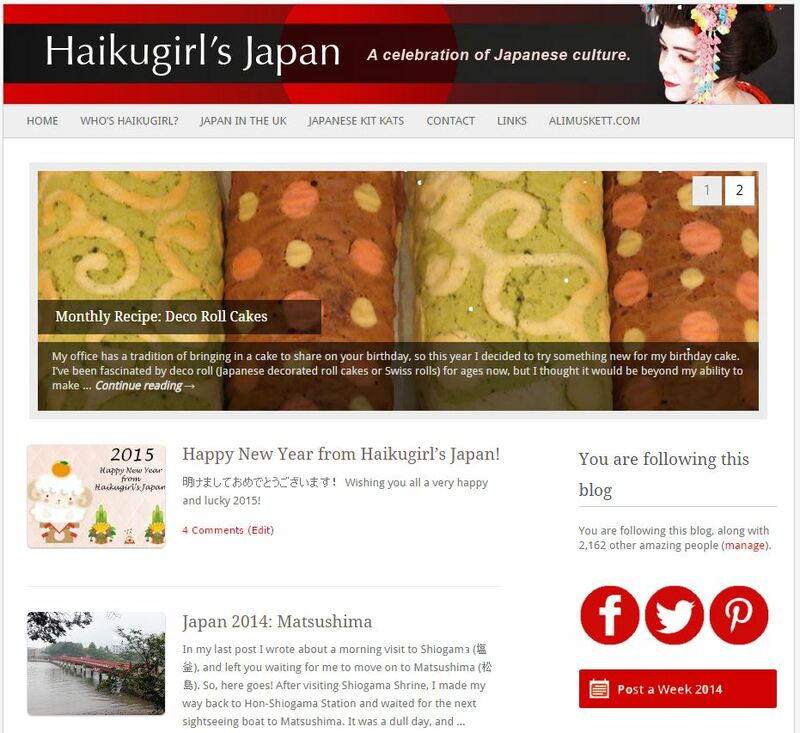 Haikugirl’s Japan has now been running for 7 years and 7 months, and I’ve written a total of 1,205 posts! In 2014 my blog was viewed about 120,000 times, and overall Haikugirl’s Japan has been viewed around 596,400 times! In 2014 I posted 147 new posts, managing to keep up my promise to post at least once a week (although I did post a little less than the previous year). The busiest day of the year was 20th April, with 622 views (an average day sees only about 300 views). 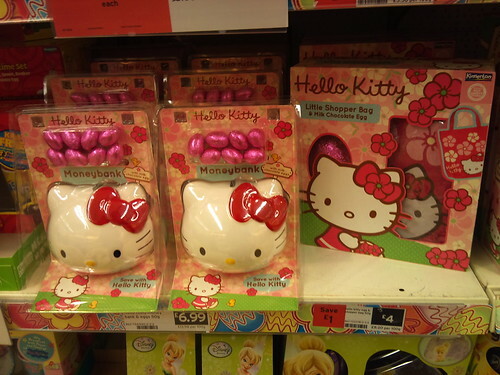 The most popular post on that day was Happy Hello Kitty Easter! 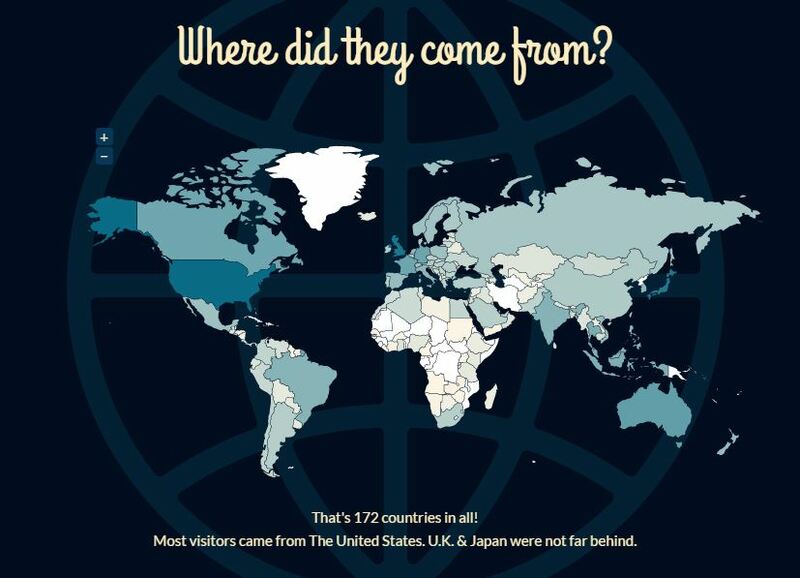 Visitors to Haikugirl’s Japan came from 172 countries this year! Most visitors came from the US, with the UK and Japan not far behind. In 2014 Haikugirl’s Japan had 30,458 views from the US, 22,107 views from the UK and 19,668 from Japan. Coming in fourth with 4,483 views is Australia, and Singapore is fifth with 3,555 views. I love receiving comments and interacting with my readers, so a big thank you to everyone who has taken the time to leave a comment this year. It really does mean a lot to me! 2014’s top commenters were: JapanAustralia, ZoomingJapan, lovelycomplex22, rockin’, and ThroughTheLookingGlassAndDownTheRabbitHole, but thank you to everyone else who left a comment or liked a post as well! 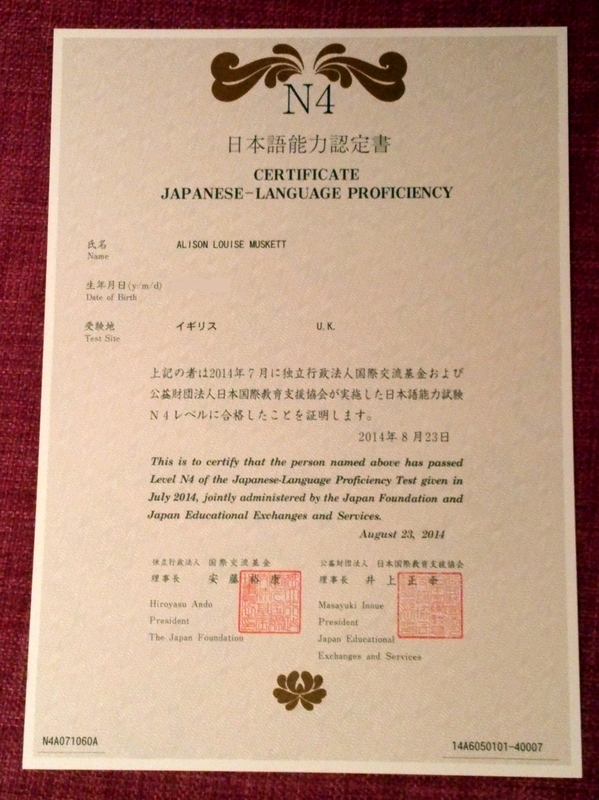 The post which received the most comments in 2014 was JLPT Success!, with 27 comments. People arrive at Haikugirl’s Japan through many routes, with Facebook and Twitter being the most common referrers. The most common search terms which brought visitors to the site this year were: happiness is, happiness is images, macarons, happiness is pics, momotaro, and japan girl. I guess that explains my top 5 posts! It’s not been easy keeping up with everything this year, with work being busier than ever and being away in Japan for a month. I miss a lot of what happens on social media, but do try to catch up in the evenings and on the weekends. In fact, Sundays are my best day for blogging and catching up on social media! 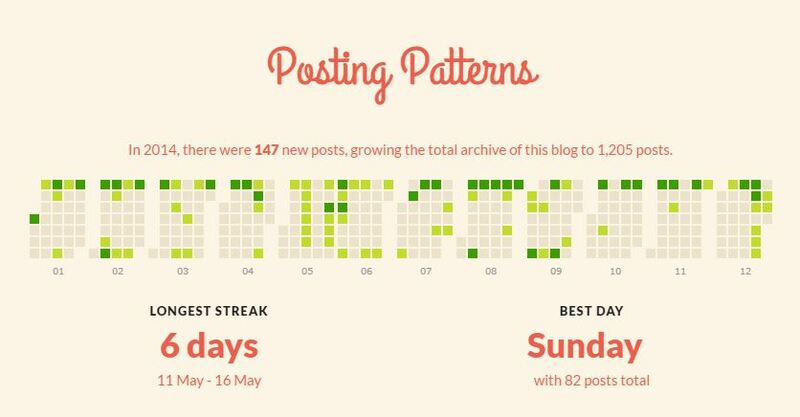 The graphic below shows my posting patterns for the year – 82 of my 147 posts were posted on Sundays. Despite how busy I am, life continues to be good and fun! I have managed to maintain Haikugirl’s Japan on Facebook and continued to post on Twitter when I feel the urge (follow me @Ali_Haikugirl). You can also find me on Instagram: Ali_Haikugirl. I have 647 likes on Facebook, 1,315 followers on Twitter, and 148 followers on Instagram, as well as 850 subscribers of to Haikugirl’s Japan here on WordPress. Thank you to everyone who likes, follows and subscribes! So, 2014 went by in a flash but it was quite a year! 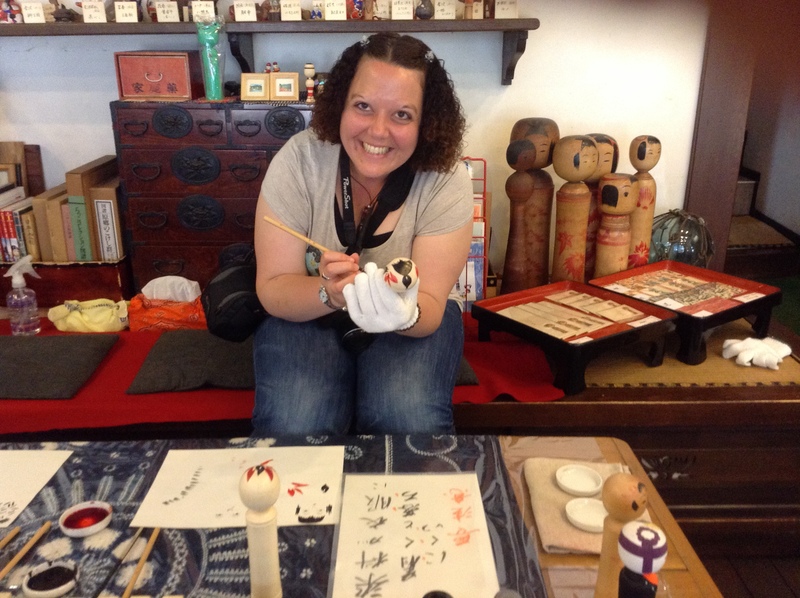 I’ve continued to love life in Bristol where I work as a Japan-specialist Travel Consultant (still my dream job after a year and a half! 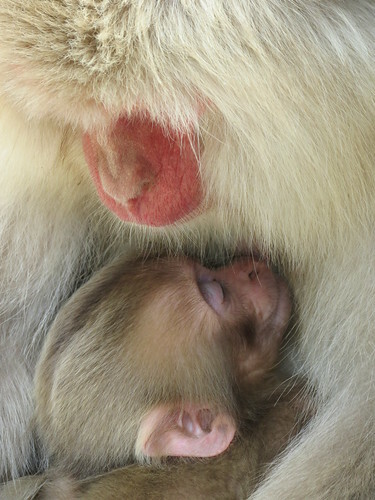 ), and had the time of my life in Japan! 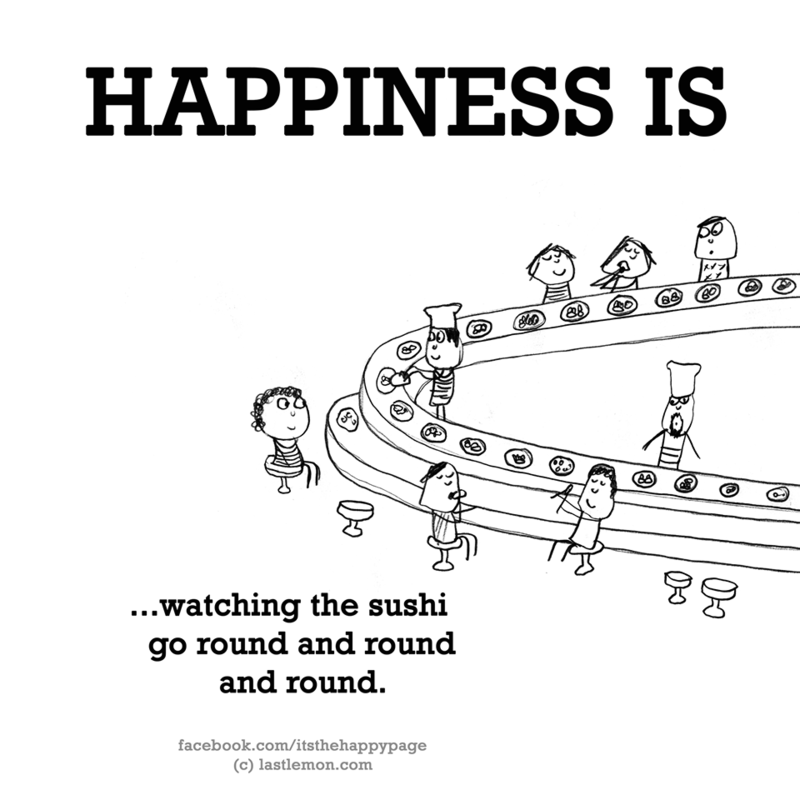 I’ve found more to blog about than I actually have time for, but at least life is never dull! So, what will 2015 bring? Well, 2014’s Word of the Week weekly series proved to be quite popular, so I will be back this year with brand new weekly series. As before, this will also include opportunities for you to participate, and I hope you do! I will also continue my promise of posting at least once a week, and more when possible. I’ll also continue to try out new Japanese recipes each month, and still welcome suggestions from chefs who would like me to try something from their book or website. I’m planning a holiday in Japan towards the end of 2015, which I’m very excited about! 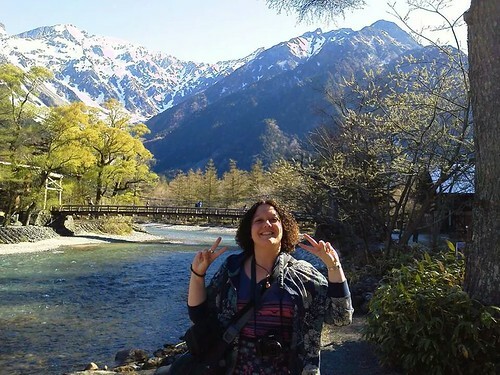 I haven’t quite worked out the details yet, but of course I will be sharing everything with you here on Haikugirl’s Japan. I’ll be catching up with friends, and hopefully visiting some new places too. It’s great to have something to look forward to! Studying Japanese is still something I want to focus on, but I’m yet to find a way to fit it in to my daily routine. I successfully passed the JLPT N4 in 2014, but it was quite stressful to fit studying in with everything else. I had thought I might take N3 in July 2015, but now 2015 has arrived I’m thinking that might not be realistic, so let’s see how things go. You can always contact me! Of course, I will also be continuing to attend as many Japan-related events, exhibitions and shows in the UK as I can, and will bring you news of those whenever possible. If you’re reading this and would like me to help promote an event you’re running, review a book you’ve written or a CD you’ve released, or mention anything else related to Japan on this site, please do get in touch and I’ll see what I can do! I’m also keen to run more giveaways, so if you have a shop selling Japan-related goods and would like to talk about running a competition, just drop me a line. Happy new year! I don’t comment often but love Japan and love reading your blog so please keep going! I spent 4 days in Kyoto in December which was wonderful and I’m always looking forward to going back. Great year you’ve had, I think. I haven’t participated in the word of the week nearly as much as I should have. That will be rectified this year! My Japan blog hasn’t seen much in the way of posts last year, as I’ve been focusing on my book and writing blog (479 posts in 2014!). Hope 2015 is a great one! Pretty busy. I’m looking forward to lots of commenting. Happy New Year, congratulations on your Japanese Language Certification (not an easy thing), and thanks for all the lovely eye candy.